Lester Gertrude Rowntree (1878-1978) was a pioneering California native plant botanist and horticulturalist who popularized the study, use, and protection of native flora through voluminous writings, lectures, and photographs. 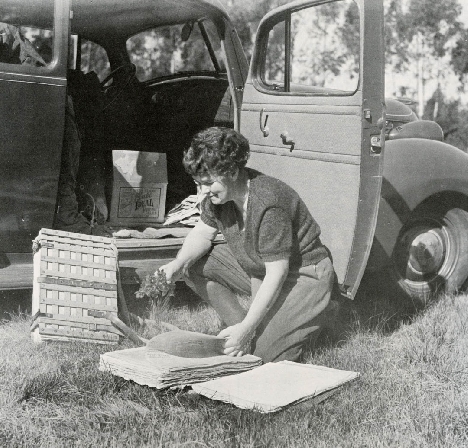 As testimonial to Lester's important role she was named life-long honorary president of the California Native Plant Society (CNPS) upon its creation in 1965. However, the appeal of her writings transcended native plants for Lester was a peripatetic free spirit who promoted the joys of an adventurous outdoor life, often being referred to by others as a female John Muir. Lester Bradford Rowntree, her grandson, knew his grandmother well and considers her one of the major influences on his life. After graduate school at the University of Oregon he taught Environmental Studies at San Jose State for 35 years, taking early retirement to concentrate on writing about local and global environmental issues, He lives in Berkeley with his wife, Meg Conkey, an archaeologist on the UC Berkeley faculty.